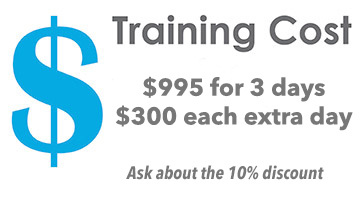 Yes, tell me more about the training in Dallas, Texas! Select arrival and departure date then click on check availability (Group code is CMS). Group rate will appear for the inquired dates. Input personal information to complete reservation booking. Jeremy Bistline joined the Cougar Mountain team in 2013 and has brought over 20 years of accounting and customer service experience from companies such as DirecTV. The knowledge he gained in those years paired with the personal training he received at Cougar Mountain Software helps him deliver the Cougar Mountain Customer experience that our clients have come to admire. In his younger years, Jeremy attended college right out of high-school where he received a Certificate of Accounting from Northern Arizona University. He then attended Southern Utah University majoring in Business Administration. Outside of Cougar Mountain, you can find Jeremy enjoying the great opportunities that Idaho has to offer for outdoor activities. He loves to go camping and hiking with friends and family. He also enjoys being a part of local community events such as the Annual Food Drive for the Idaho Food Bank.